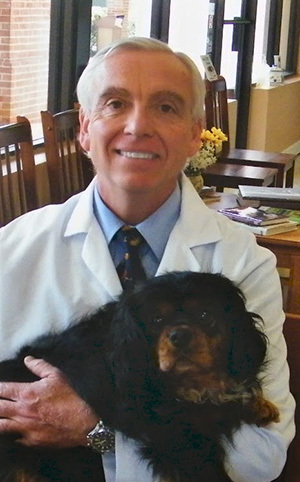 Dr. Bray graduated from the University on Cambridge, England, in 1981 with a degree in Veterinary Medicine and Surgery. After an internship at Alameda East Veterinary Hospital in Denver, Colorado, he traveled and worked in South Africa, New Zealand, and Australia before settling in Charlottesville in 1992. Dr. Bray founded the Animal Medical Center in April 1993. His area of special interest is orthopedic surgery. Away from the clinic, he enjoys soccer (passionately! ), spending time with his four children, and exploring the beautiful Virginia wilderness. 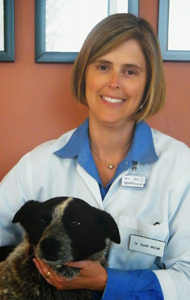 Dr. McCall is a 1995 graduate of the Virginia-Maryland Regional College of Veterinary Medicine. She has been practicing at the Animal Medical Center since graduation. Dr. McCall enjoys internal medicine and soft tissue surgery but has a special interest in abdominal ultrasound. She and her husband raise purebred Angus cattle on their farm in Augusta County. She has two sons that are very active in 4-H, FFA, and the National Junior Angus Association. Her hobbies include jewelry-making, scrapbooking, and cheering for the Hokies! Dr. Schaeffer graduated from the Virginia-Maryland Regional College of Veterinary Medicine in 1999. She practiced in central Pennsylvania and northern Virginia before making the move to Charlottesville. 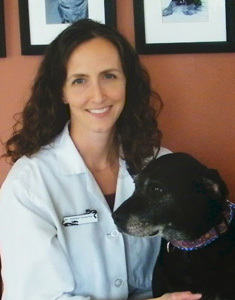 Dr. Schaeffer joined the Animal Medical Center in February of 2007. Her particular areas of interest include geriatric medicine and cardiac ultrasound. Outside of the clinic, she serves on the Special Education Advisory Committee for Albemarle Country Public Schools, and she enjoys running and spending time with her husband and two young children. Wanda joined the Animal Medical Center in December 1995. Over the years, she has become an integral part of our practice and helps to ensure that our days run smoothly. Wanda is an expert at helping our clients with their pet questions and concerns. Outside of the office, Wanda enjoys spending time with her two children, volunteering with Little League Baseball, and playing with her dog and cat. Amy joined the AMC team in 2017. She likes working in our team-oriented environment, and she enjoys supporting our vets and techs in caring for our wonderful patients and their families. Outside of work, Amy loves spending times with her husband, sons, and 3 cats; and she enjoys rooting for the Hokies and the Cowboys! Fay worked as a Vet Tech for 12 years before joining AMC, and we were fortunate to have her bring this experience to our team in 2009. 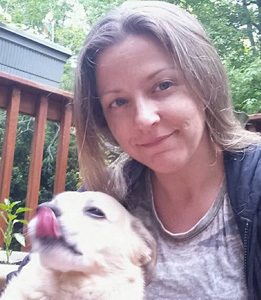 She enjoys assisting with medical and surgical cases, and she really likes getting to know clients and their animals. Outside of work, Fay enjoys spending time with her children and grandchildren and relaxing at home with her pets. 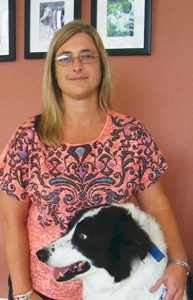 Jennifer joined our team in June of 2012 and brought with her 14 years of experience working in the veterinary field. She particularly enjoys forming relationships with pets and their people and has a soft spot for senior pets. Jennifer also has her own pet sitting business (Jen's Pet Sitting - a73starfish@aol.com). When not working, Jennifer enjoys jewelry-making, painting, and working in her garden. She shares her home with her husband, a dog, and 4 cats. 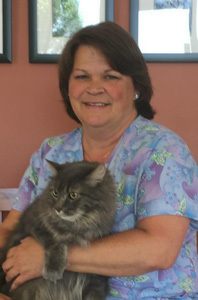 Lisa began working at the Animal Medical Center in November of 1996. 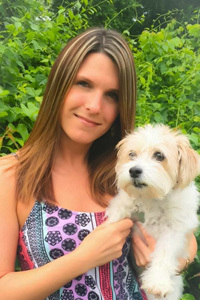 She has a soft spot for cats and small dogs, and she enjoys the technical aspects of IV catheter placement and laboratory testing. Outside of work, Lisa enjoys photography, and she's a very talented singer. She also stays busy looking after her many, many cats! 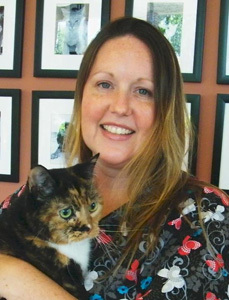 Celia began working at our clinic in 2003, although she had worked as a vet tech for 14 years before joining our team. 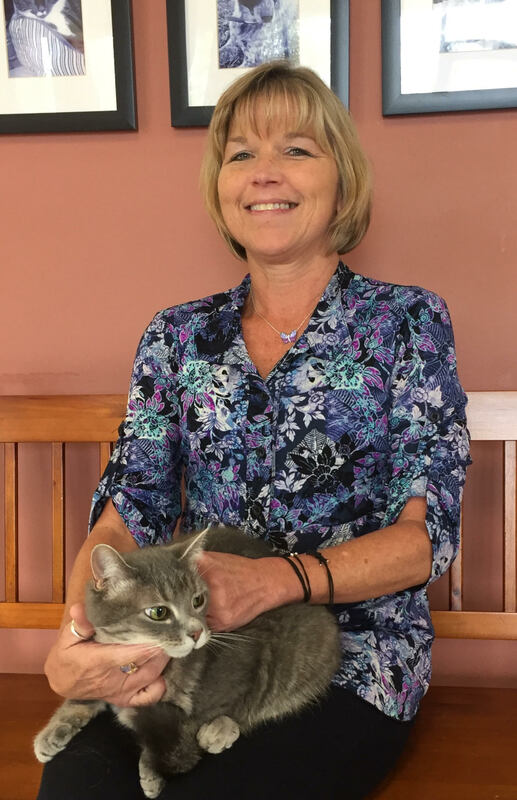 She has had special training to be a certified animal massage therapist and has her own housecall business (silvertreeanimalmassage.com). When not working, Celia is a busy mom of three young children, and she enjoys finding venues for live music and being in nature whenever possible. 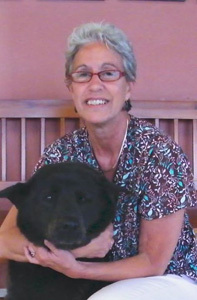 Neena joined the Animal Medical Center team in 2006. She enjoys forming friendships with our clients and their pets. When not in the clinic, Neena enjoys exercising, boating with her family, and spending time with her husband and two pups.